There is perhaps no better way for families to tap into the authentic cowboy culture in Texas than to visit when there’s a rodeo in town. January through March (and stretching into June) is prime rodeo season in the Lone Star State, drawing crowds from across the country to enjoy this storied Western tradition. With high-stakes professional rodeos, concerts by top country and pop music entertainers, carnivals, barbecue cook-offs, kid-friendly attractions, trail rides and more, the state’s rodeos offer a ton of fun for families, whether they are diehard fans or first-time rodeo-goers. Watching rodeo events is fun for the whole family. There are timed events such as barrel racing, steer wrestling and roping, and exciting roughstock events such as bronc and bull riding. If you’d like to learn more about the sport before your trip, consult this Rodeo 101 primer. Fort Worth Stock Show & Rodeo (Jan. 19-Feb. 9, 2019): One of the oldest rodeos in Texas showcases traditional rodeo events, livestock and horse shows, and even dedicates a portion of the event to actual working cowboys (as opposed to professional rodeo cowboys). San Antonio Stock Show & Rodeo (Feb. 7-24, 2019): This huge event comprises a rodeo, a carnival, and performances from country music superstars. Like Southern cooking? Families can also enjoy authentic Texas barbecue at the BBQ Cook-off and festival. Houston Livestock Show & Rodeo (Feb. 25-Mar. 17, 2019): Since its 1932 debut, this rodeo has contributed more than $350 million to scholarships, research, endowments, and other educational and youth programs. Some of the many kid-friendly attractions include a petting zoo, sing-a-longs, and gondola Sky Ride. In past years, Rodeo Houston has brought an all-star entertainment lineup to its main stage, including Brad Paisley, Blake Shelton, Reba McEntire, Hunter Hayes, Maroon 5, Robin Thicke, and many more country and pop music acts. Rodeo Austin (Mar. 16-30, 2019): Austin embraces its inner cowboy as competitors arrive for the two-week event that's been going strong since 1938. Past musical performances include Willie Nelson, Blake Shelton, Maroon 5, Lady Antebellum, and Nelly. Besides bull riding and calf roping, kids will love the pig races and youth art show. Can’t make it to Texas this spring? 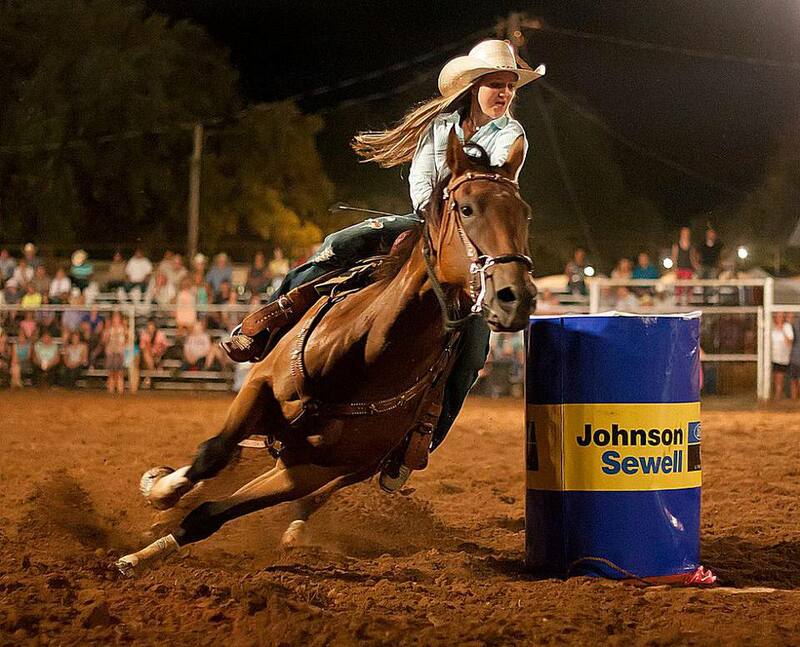 Consider these other Texas rodeos held later in the year. Mesquite ProRodeo (Fri. and Sat. nights, Late May to Mid-Aug): This semi-permanent weekend rodeo is a great option if you're visiting the Dallas area during the summer. West of the Pecos Rodeo (June 27-30, 2019): Said to be the oldest rodeo in the nation, this four-day event has plenty of family appeal. There are two family nights when admission is free for kids ages 12. Events include wild cow milking, boot scrambles for kids ages 5 to 10 and a calf scramble for kids ages 11 to 15.